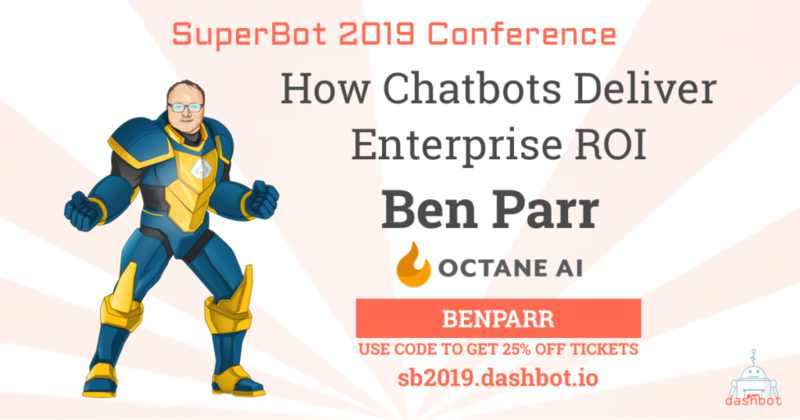 Octane AI founder and author Ben Parr will be attending SuperBot this year to share his thoughts on insights and strategies on monetizing chatbots. The million dollar question since the launch of bots is, “How do we monetize this?” We’ve got answers for you at SuperBot 2018 from the leaders who experimented and succeeded. Attend SuperBot 2019 to hear from Ben Parr about how he founded a messenger marketing platform that helps increase ecommerce profits. Ben Parr is an entrepreneur, investor, author, and journalist. He is co-founder of Messenger marketing platform Octane AI (backed by General Catalyst) and author of Captivology: The Science of Capturing People’s Attention (named the top marketing book of 2015 by Strategy+Business Magazine and Small Business Trends). He sits on the board of directors of Samasource, a global non-profit dedicated to giving work through impact sourcing and sits on the innovation advisory board of Lufthansa Airlines. Previously, he was a venture capitalist, a columnist and commentator for CNET, and Co-Editor and Editor-at-Large of Mashable. I was named to the Forbes 30 Under 30 in 2012. Meet Ben at SuperBot 2019, the ultimate bot & AI conference. Use code BENPARR to get 25% off your tickets.